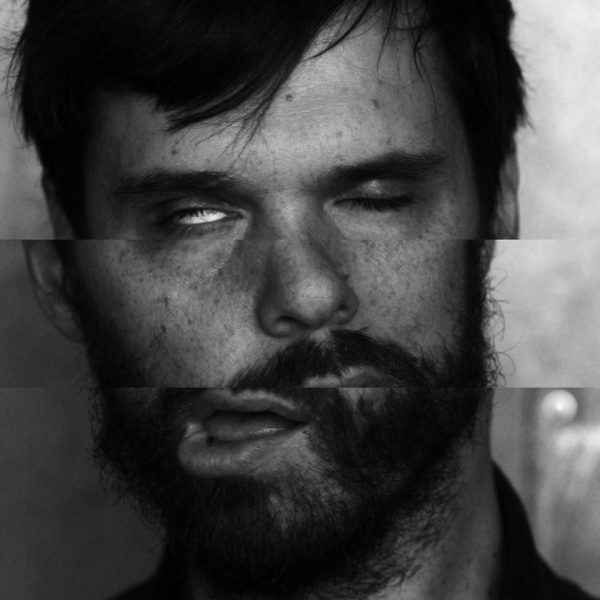 Dirty Projectors‘ new song Keep Your Name tellingly opens with (wedding) church bells that go to glitch. So life has apparently gone for leader Dave Longstreth and a lost love of his. In the opening lines of the song, Longstreth lays open his ventricles with, “I don’t know why you abandoned me, you were my soul and my partner, what we imagined and what we became, we’ll keep ’em separate and you keep your name.” The song manages to be complex, inventive and multi-dimensional all at once, and bodes incredibly well for the impending new album from the band, their first in four years following their breakthrough Swing Lo Magellan. Check it out below via the song’s superb, official video in black-and-white directed by Longstreth and Kanye West’s associate, Elon Rutberg. We love Longstreth’s affected and heartfelt vocals, the sample from the band’s own 2012 song Impregnable Question, the rapped interval (couldn’t agree more with the Gene Simmons assessment), and the inventive electronic mix. With Keep Your Name, Dirty Projectors are giving Bon Iver a strong run for best production of 2016. Lyrics at bottom. It was a phenomenally fine week for music for the weak and the strong on late night TV. We had some Bon Iver and some Chance, 2 Chainz and Lil Wayne (more about that tomorrow–who’s the fool said we would never list the latter on this website?). And we had some Mac Miller (wait, what???). Oh yeah, as accompanied by the talented lad from The ‘Nard, Anderson .Paak. 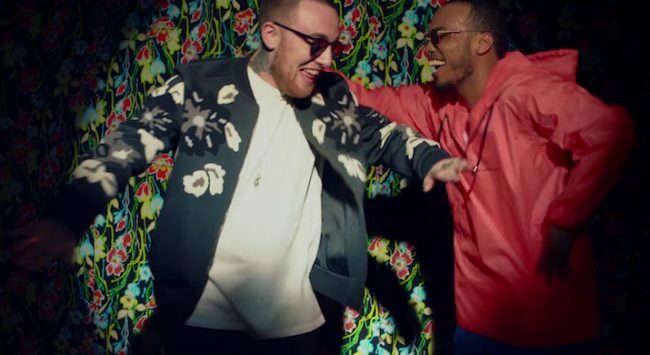 Watch below as Miller, in support of his new album The Feminine Divine, performed the smoothly funkified track Dang backed by the phenomenal .Paak on The Late Show With Stephen Colbert. The duo is also supported admirably by Colbert’s band Jean-Baptiste and State Human. Watch below as .Paak sings of lost ones while Miller raps of one he lost. Gonna have to pay more attention to this Miller kid. .Paak’s a given. Bon Iver will soon release highly-anticipated new album 22, A Million. 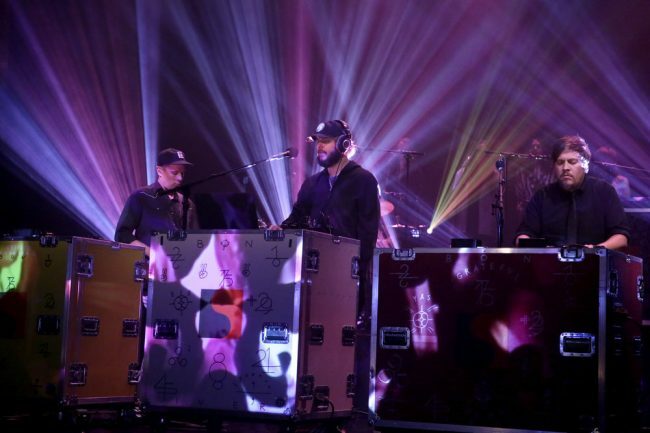 Last night on Fallon’s Tonight Show, Bon Iver appeared and performed another new song entitled 8 (circle) (lyrics at bottom). Check out the enthralling performance below, featuring the elevating support of various vocal heavies such as The Staves and Anaïs Mitchell. Great stuff. Bon Iver will play five sold out dates in California next month before heading out on a European tour early next year. Stay tuned. What on earth is left to come? 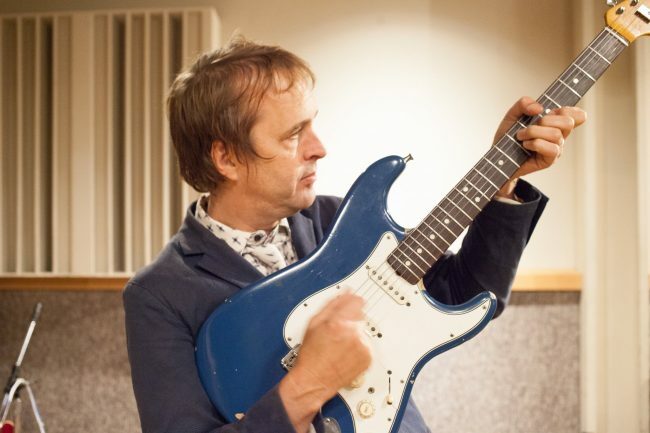 We’ve been receiving semaphores from the Chuck Prophet hemisphere about a new album in the works. We can’t wait for the new release from one of this land’s finest songwriters. In the meantime, Prophet has reminded fans of his high musical net-worth by reiterating the song If I Was A Baby from his last, under-appreciated album gem, Night Surfer. Night Surfer was one of our Best Albums of 2014, and you should pick it up HERE (and now) if you don’t already own it. If I Was A Baby is an extremely rare cover by Prophet (if you write songs as well as he does, why bother?). Check out Prophet’s cover below of the the song written by talented wordsmith-maestro, Ezra Furman. Prophet’s timing may relate to Furman’s announced departure from San Francisco to parts unknown. Prophet wows on the recording with his vocal prowess and agnostic seance (not to mention strings and rare use of banjo). Great stuff! After Prophet’s masterful cover, check out the Furman original on which Furman’s vocals remind of Neil Young circa Goldrush. All is not lost–keep your mouth on mystery’s breast. Long-time fans of superb singer-songwriter Tom Brosseau know that he has eyes, ears and heart for the “good old days.” Whether evoking his native North Dakota or other nostalgic touchstones (Guy Lombardo, Johnny Cash or The Pixies), Brosseau repeatedly pins the past to his songs. And he does so effortlessly and well. 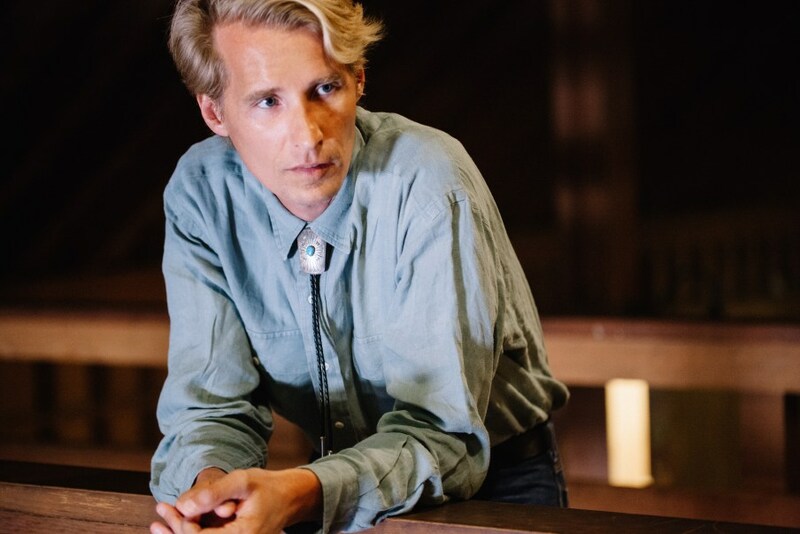 We were once again wowed by Brosseau today with the release of his new-but-old video for You Can’t Stop off of his impending album, North Dakota Impressions (due on 9/16 from Crossbill Records). The song is a spare beauty that intends hope, though the video lends tension before ending at its desired destination. 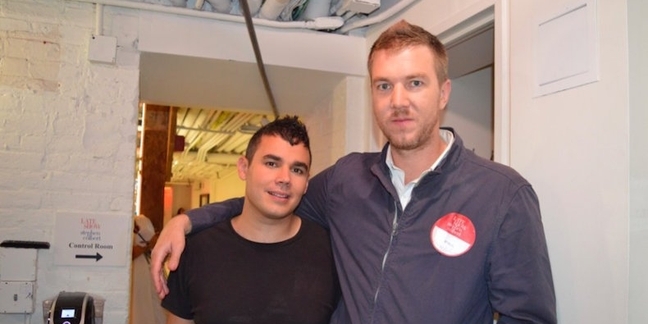 Ben Guzman and Angela Wood created and directed the video, which was filmed in a 1950 Spartan Mansion Trailer. Up and coming singer-songwriter/actress Alaska Reid (of band Alyeska, which will soon release its highly-anticipated debut album) adds good company to the video. Check it out below. Be they large or small, “we’re living in dreams, our own little dreams.” Roll out from the shadow and dream a little. Go HERE to pre-order/buy North Dakota Impressions. Music lovers have cause for celebration: one of this era’s best songwriters, John K. Samson (of the much-lamented The Weakerthans) is returning from Winnipeg’s tundra with new album Winter Wheat, his first since 2012’s Provincial (our No. 3 Best Album of 2012). Evidently “inspired by the search for connection and community… and our individual and collective struggles with addictions to drugs, screens, and fossil fuels,” Winter Wheat will be available via Anti-Records on October 21st. To entice your ears, Samson has unveiled a great new song, Postdoc Blues, which you can listen to below. In the song and the album’s tracklist (below) we hear and see that some of Samson’s totemic touchstones (Winnipeg, Highway 1) and characters (Virtue the Cat) are endearingly continued on the new album. Similarly Provincial’s Master’s Thesis–writer and his “controller” and “hard drive” yield to the Postdoc Blues and its “dongles.” Samson presents another character seeking community and hope while existing in an isolated, digitized world. We are thrilled by the new song and can’t wait for the album, which was co-produced by Jason Tait (The Weakerthans drummer), along with Samson’s partner, Christine Fellows, and also features Greg Smith (The Weakerthans bass player) and much of it was recorded by The Weakerthans sound tech Cam Loeppky. You can pre-order Winter Wheat HERE. 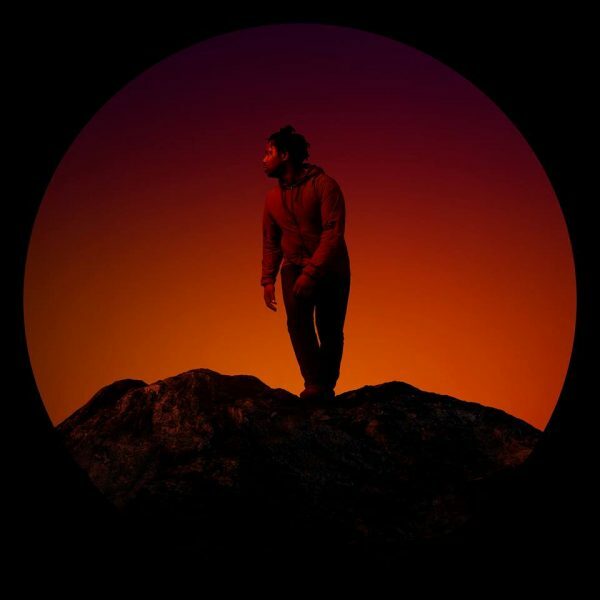 One of our favorite new UK artists, Sampha, will soon release his long-awaited solo album entitled Process (via Young Turks). Sampha’s been busy this summer, having revealed at least one stellar song (Plastic 100°C) from the new album (along with Timmy’s Prayer). But last night Sampha took things to a whole new level in his impressive TV debut on the Late Show With Stephen Colbert. Watch below as, backed by a killer band, he sings the sang-froid out of Blood On Me. Those unique vocals! That percussion! And bowed cello for no extra charge. Superb stuff! How did they find me, find me? The relentless rummage has been wasting our time and fracking our focus. In a rare moment of clarity, we submit that Laney Jones’ (and The Spirit‘s) self-titled album is easily one of the Best Albums of 2016. We confess our clarity was triggered by today’s release of their tranquillo video for the album’s Who Could Love (see below, with lyrics at bottom). After catching Jones & The Spirit’s superb live act, we featured their Zika-catchy song Allston (Dance Around), and vowed to give the album its greater due. Three months later, we confirm that we had it right all along. The brilliant album has a broad and varied pallet that bears repeated listening and argues that Jones and her songwriting partner, Matthew Tonner, might be the next Lennon-McCartney, Jagger-Richards, Goffin-King or (the other) Jones-Strummer (OK, that might be minor hyperbole, but time will tell–don’t bet against them). The album’s deceptively simple-sounding (but clandestinely-complex) songs are gems that will transport you. In addition to the great songwriting, vocals and playing, David Plakon has appropriately-framed the group with his deft production. Favorite songs include the sepia-toned Do What You Want, the Wilco-esque Bad Luck Charm, the ebullient Work It Out, the swaggering and audacious Firewalk (with it’s gripping off-count delays), the endearingly-confessional Lonesome Soul, the powerful The Simple Truth and the seasonally-apropos Endless Summer. That’s right–there’s not a bad song on the album. Do yourselves a favor and go pick up the album HERE. And keep your eyes and ears open for Laney Jones & The Spirit, who are out on tour and headed to the West Coast (including Cali in two weeks). Check out the dates HERE. Who could love a fool like me? What’s that say about me?